If you’re like me, you’re always trying to find ways to reuse leftover material from old crafting projects. After my Lamp Revamp project, I had some extra burlap that I had no idea what to do with. 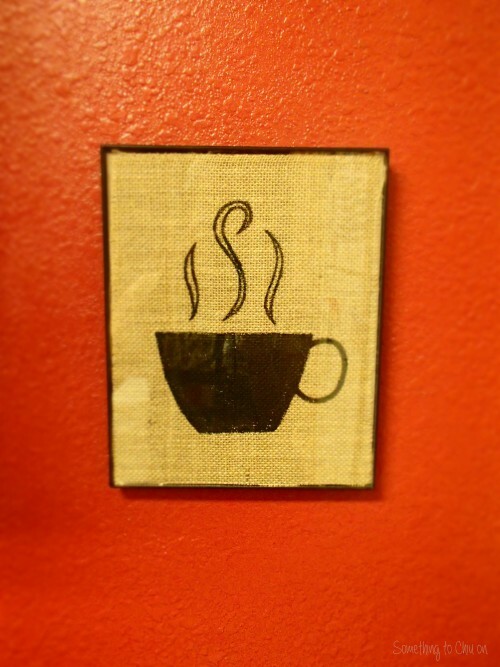 Well, I noticed some wall art at a coffee shop that used burlap background and I thought I’d give it a try. I love bringing the coffee-shop style look to my home, and it’s pretty simple to do! All you need are a picture frame, burlap (obviously), black paint (I just used acrylic paint), and a black sharpie. 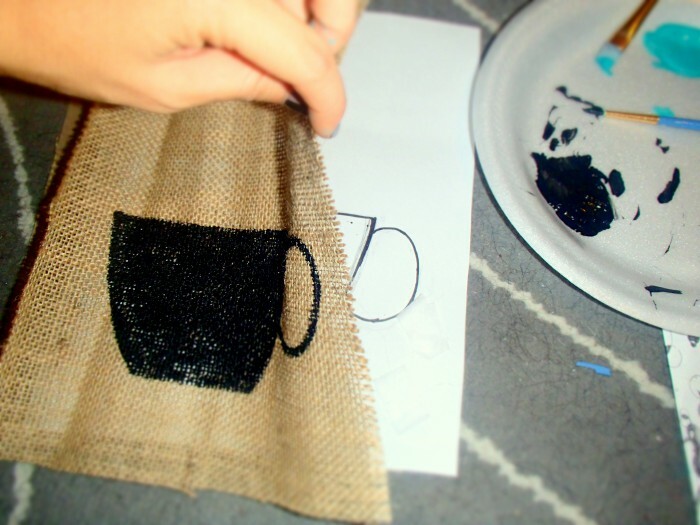 Start by cutting the burlap so it is the right size for your frame. Next you can work on your design. I found it easiest to first draw my design out on a piece of paper with sharpie (making sure the design is the size you want for your piece). 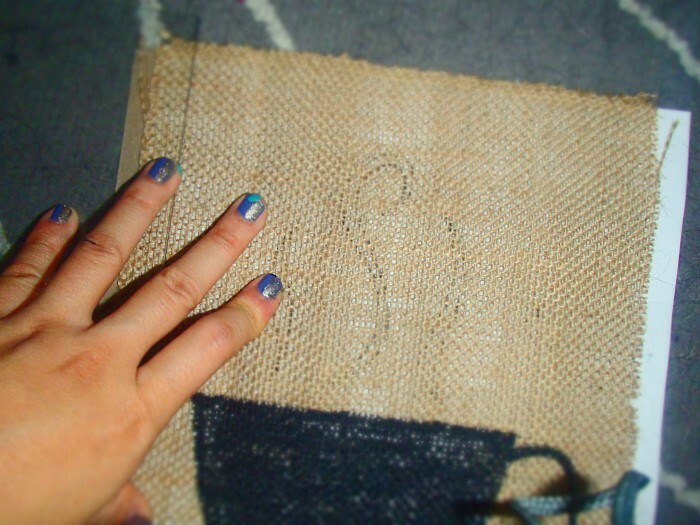 I then placed the burlap over the paper and traced the design onto the burlap. 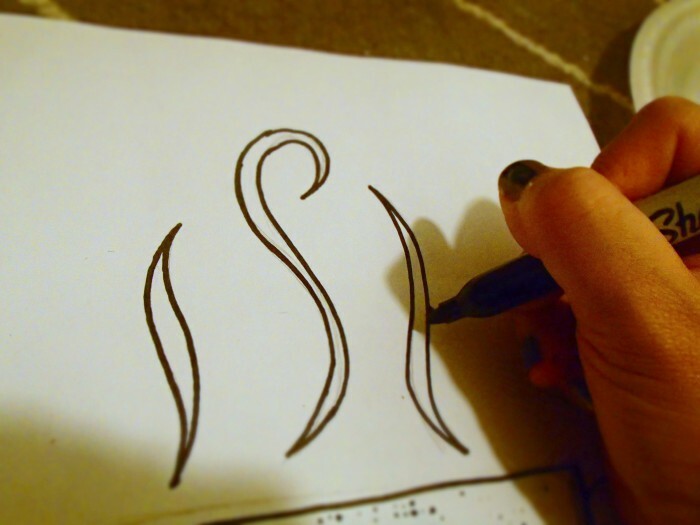 I traced the outline of the design with sharpie first, then filled in the coffee cup with black acrylic paint. Aaaanddd you’re done! 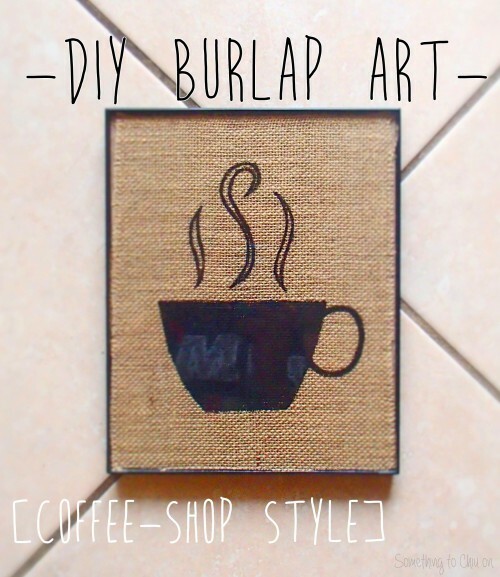 Pop that beautiful piece of burlap into a frame and you’ve got your own coffee shop-esque wall art.